Help America’s fifth most solar powered state become number one. Nevada is one of the top three sunniest states in America, reporting clear and bright skies 88 percent of the year. Due to its geographical advantage, Nevada has spent millions of dollars installing solar. In 2015 alone, Nevada added 409 megawatts of solar capacity to the state’s already impressive 1,000+ megawatt system. Currently, the state can power 200,000 homes with solar energy, but it is striving to double that by 2020. If you live in Nevada and want to harness the power of the sun, here’s more information to help you make an informed solar decision. Due to the excessive heat and sunshine in Nevada, cranking up the air conditioning is one of the only ways to stay cool–particularly during the summer months. That’s probably why Nevada is the 16th most expensive state in the country for monthly electric bills, averaging $110 a pop. Luckily, solar can offset grid powered electricity costs in a big way. While solar panel installations average $11,200 to $14,400, the price per kilowatt for solar drops to about three to five cents. Leasing, financing, and PPAs can bring this up to somewhere between six and nine cents, but it’s still cheaper than Nevada’s average 11 cents per kilowatt of grid electricity. Now that photovoltaic cells are 66 percent cheaper than they were in 2010, it’s even more affordable for homeowners to purchase solar panels. Interested in finding out more about what solar can do for you? 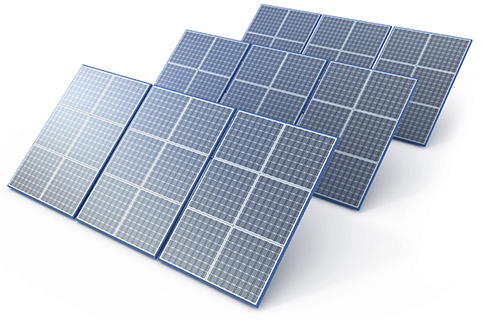 You can get a solar quote from a top company to determine your exact solar installation cost and potential energy savings. To find out even quicker, use Solar Power Authority’s cost calculator to estimate how much you can save with solar. The government has a large tax credit in place for those who install solar—30 percent (as of August 2016). This means if you purchase your solar panels outright, you can offset the total cost of your system by 30 percent. Since buying solar panels costs thousands of dollars upfront, this is a great way to put some of that money back in your pocket. Your state government has over 50 programs to help you save on solar. Browse by your zip code to see what solar tax incentives are available to you. Utility companies often give homeowners rebates on utility bills if their solar panels produce more than enough energy to power their home. Just know that this only applies to people who own their solar panels. Unfortunately, many companies keep the utility credits for those who lease, have a solar PPA, or finance. SunPower has been blazing a trail in solar power innovation for over 30 years. With over 600 patents for solar technology, and a world record for its solar powered plane, the company’s achievements are impressive. Perhaps the most epic of all is SunPower’s solar cells that produce 55 percent more energy than conventional panels on a daily basis, and over 70 percent more energy over a 25-year lifetime. This adds up to even greater savings and less expense for homeowners. Sunrun can save homeowners 20 percent on energy with its solar panels. Plus, you can enjoy flexible payment options like solar PPAs, leases, financing, and buy-out packages, so you can choose an option that fits your lifestyle. With over 80,000 customers and high praises from the Better Business Bureau and Angie’s List, SunRun is a solid choice for homeowners who want to go solar, save big, and have a positive experience with a company they’ll do business with for decades. In 2011, Vivint Solar became an offshoot of the successful home automation and security company, Vivint. Now, customers can save 10–30 percent on utility bills with Vivint Solar in addition to incorporating better security and technology into their homes. Like other great Nevada solar companies, Vivint Solar offers solar PPAs, leases, financing, and buy-out packages that offer savings and flexibility. And in most cases, homeowners don’t put any money down. 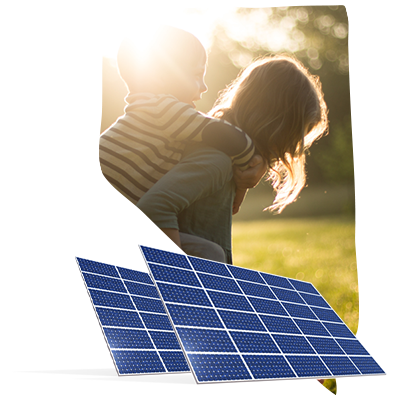 Going solar is much more affordable with NRG Home Solar. In most cases, homeowners aren’t required to put any money down on their solar panels. You can also choose from leases, financing, or buy-out packages to best fit your needs. While you won’t be able to take advantage of solar PPAs with NRG, you can benefit from its extraordinary design, engineering, monitoring, permitting, and installation services. Nevada has the fifth most solar capacity in America—enough to power over 200,000 homes. By 2020, the state aims to double that. All the while, Nevada’s strict renewable energy portfolio standard has utility companies working toward 25 percent renewable resource energy generation by 2025. The question now, is how much will that cost customers? In 2016, a ballot measure was struck down which would have made solar prices cheaper for customers. While this decision is set to be appealed to the Nevada Supreme Court, it’s still uncertain where prices for solar panels will go for citizens of the Silver State. What we do know is that photovoltaic cell prices are down 66 percent from 2010, so hopefully that will offset costs. Nevada has a goal to install over 2,400 additional megawatts of solar electricity by 2020. In Nevada, 128 solar companies employ 8,764 people. Nevada installed the third most solar energy in the country in 2015—409 megawatts. The state invested over $830 million in solar in 2015, up 46 percent from 2014. Nevada has the fifth most solar capacity in the nation, with 1,300 megawatts. That’s enough to power 200,000 homes. Learn about state energy programs, solar policies, statistics about energy usage in Nevada, and more. This group regulates publicly owned utility companies in Nevada. You can check out the website to learn more and browse current initiatives. Contact people who help pass solar laws in Nevada, stay current with solar laws, and keep tabs on bills that could impact solar. Find out about solar rebates, tax credits, and money-saving incentives near you. See how Nevada compares to national energy statistics and much more.